We read a lot of books at our house and we have our favorite authors. One of them being Susan K. Marlow. 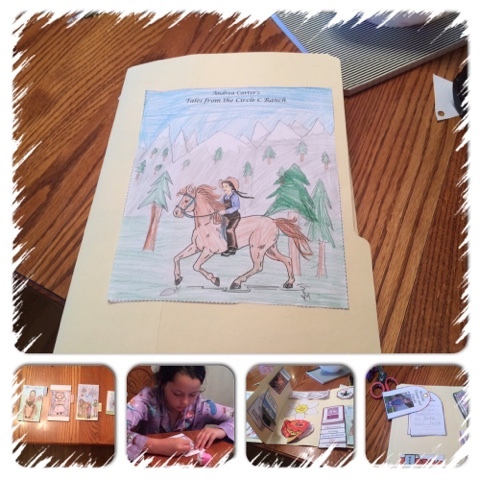 Alaina just finished reading Tales from the Circle C Ranch from Circle C Adventures series and completing the lapbook that goes along with it titled Andrea Carter's Tales from the Circle C Ranch. 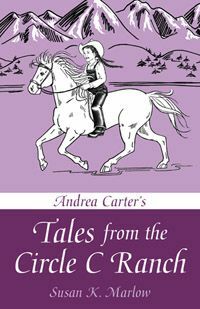 Tails from the Circle C Ranch is a short story collection about a young girl named Andrea Carter. Andi is a tomboy and you can follow her life growing up in California in the 1800s on the Circle C Ranch through books in the Circle C Adventures series. Susan K. Marlow first introduces 6-year-old Andi in the Circle C Beginnings books written for children ages 6-9. In the Circle C Adventures series written for ages 9-14 Andi is 12 years old, and Andi is growing up in her teen years in Circle C Milestones written for ages 12 and up. The short stories in the Tails from the Circle C Ranch were inspired from fan's questions. Andi always has something exciting going on in her life. She is a sweet little girl who loves adventure. In this book we get to meet her father & learn what thoughtful gift she gives her mother on her birthday. Going out to look for the perfect Christmas tree with her brothers turns into an adventure, and she has to be quick thinking when she is out fishing with her friends. 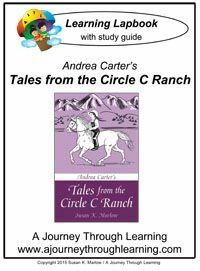 Andrea Carter's Tales from the Circle C Ranch Learning Lapbook with study guide makes a wonderful addition to the book. This 39 page PDF makes a beautiful lapbook when it is finished. There are 17 activities to be completed and glued into the lapbook. There are coloring pages, questions to answer, song lyrics to write, and visiting cards to make. The study sheets in the lapbook included the history of photography & fireworks, information about the general store, apothecary, children's clothes, and more. I like to read review books out loud to my girls because that makes it easier for me to write the review. I know everything that goes on in the book & we can discuss things as we go. So my original intent was to read the book out loud and have all three of my girls work on the lapbook. Alaina (age 10) had other plans. As soon as the book arrived she claimed it for herself & when I told her there was a lapbook to go along with it she was overjoyed. She read the book and completed the lapbook on her own. She loved the book & didn't have any trouble understanding the direction for assembling the lapbook. Her favorite short story in the book is White Christmas & her favorite activity in the lapbook was the one for the mercantile. She loved choosing what she would buy from the list with her $2.00. She also thought it was pretty fascinating to learn about overalls, maybe because she loves her pair. We love reading historical fiction in our house and this book along with the lapbook has a lot of US History, California history, and ranching history from the 1800s. This would make a great addition if you are studying US History or to use just for fun like Alaina did. 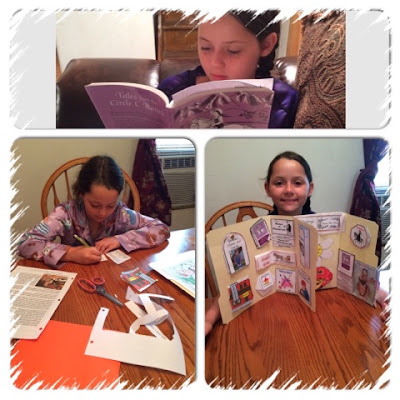 Circle C Adventures Social Media Facebook Twitter We have enjoyed all of the books that we have read from Susan K. Marlow and we look forward to reading more in the future.